PORTLAND JAPANESE GARDEN, OREGON: “Here, miles from Japan, I stand as if warmed by the spring sunshine of home” is what the Poetry Stone of Portland Japanese Garden inscribed with. Truly, this place makes you feel like you are in a place far away in the East. 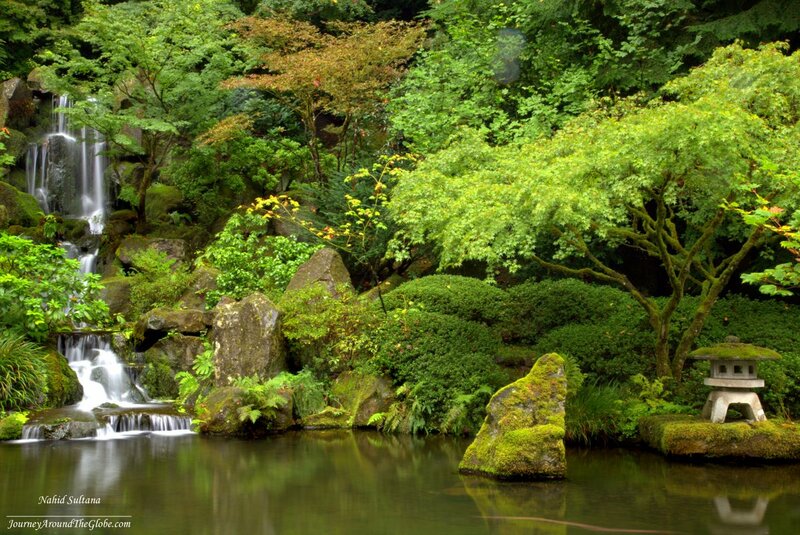 This 5.5 acre garden is proclaimed to be the most authentic Japanese garden outside of Japan. Tucked away in the scenic hills of Portland, this is a tranquil haven for anyone. 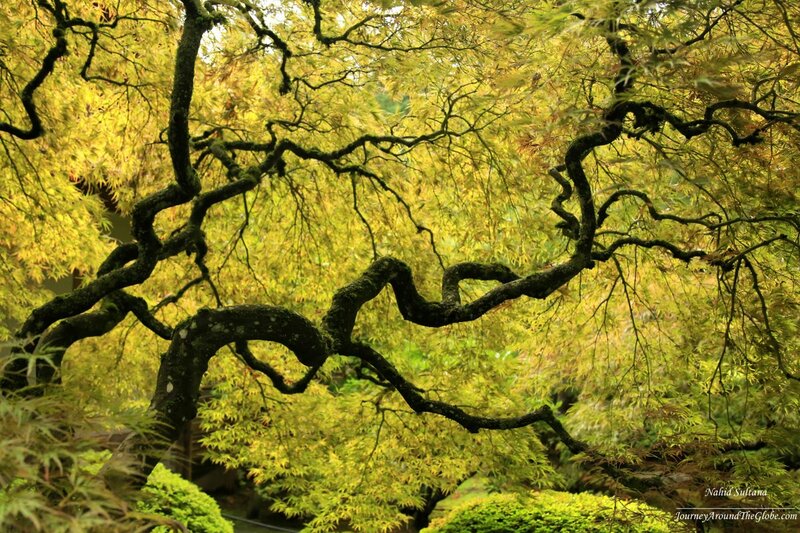 Portland Japanese Garden features five different garden styles and some of these styles are typically found in Zen monasteries. It changes its face with every season with different blooms and colors. Different trees adorn this place at different times of the year. My favorite is probably the autumn when colors change and you see eloquent beauty of this place. I still have to visit this place during the cherry blossom in April. Try to avoid weekends as this garden is packed with tourists and enthusiasts photographers trying to capture its striking beauty from different angles and perspectives. The garden hosts different art exhibitions, festivals, workshops, and lectures throughout the whole year in the Pavilion. My first visit here was a brief one only with my camera and a tripod. During my second visit with my family and uncle-in-law from Chicago, there was an exhibition on Japanese lacquered art “Urushi”. Also standing on the veranda of this Pavilion offers a magnificent view of Mt. Hood and the valley. Stroll around stone pagoda lantern, stand on the Moon Bridge, enjoy Lower Pond and crane stones, marvel at traditional constructions, walk along the Zig Zag Bridge that leads to Heavenly Falls where koi swim beneath the clear water. 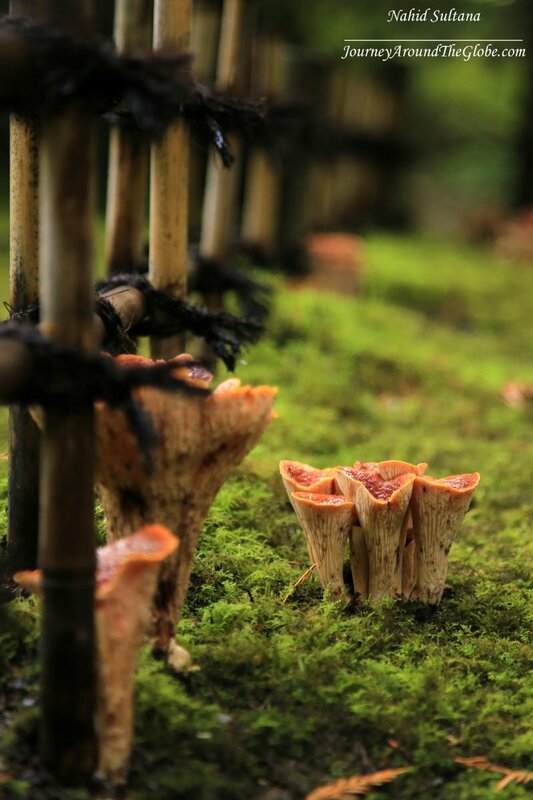 You will enjoy the trees, shrubs, ferns, mosses, and mushrooms that grow in their natural form. Make sure to stop by their gift-shop for unique Japanese arts and traditional trinkets at the end of the trip. The garden is located on Kingston Avenue in Portland, very close to Children’s Museum and Washington Park. It’s open year-round. There is a paid parking space for the visitors. Entrance fee is $9.50 per adult and extra $5 if you want to use a tripod. Free guided tour is available few times in a day during summer time. 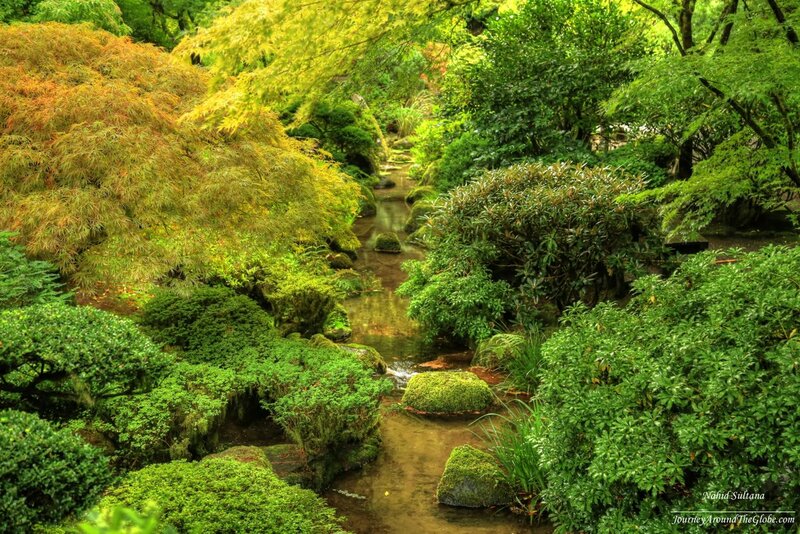 Always enjoy the beauty and peace in a Japanese garden. What a magical garden! We’re hoping to go to Portland soon, and I’m putting this on the must-see list. Oh good, I am sure you will love this place, if you have time, try to visit the Chinese Garden also. I love this place! Great photos. 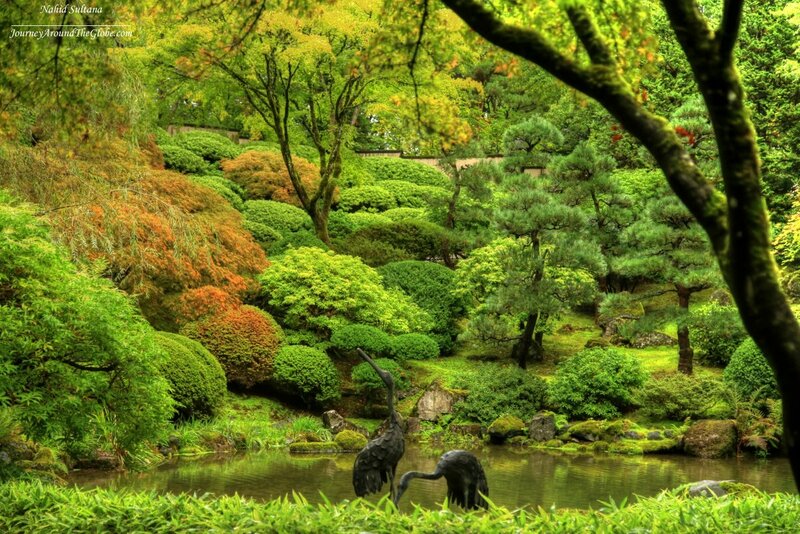 This garden looks so lush and beautiful. I bet it’s really quiet (aside from nature sounds) and peaceful!